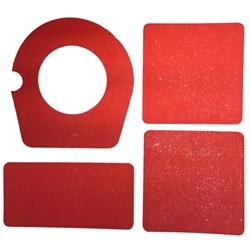 M151A2 External Body Reflector Tape Set. This set does all the rear portion of the body. High quality 3M material. Includes part numbers 11644860, 11614174-4 (2x) & 1161417-1.